Title is a little misleading, my apologies. There is indeed one unknown device, its unknown to me. And a little googling didn't help me uncover the mystery. The second issue with a driver is probably going to be simple for someone else, but searching through the website has only served to confuse me. I can't find the books to give any more information than what I provide. 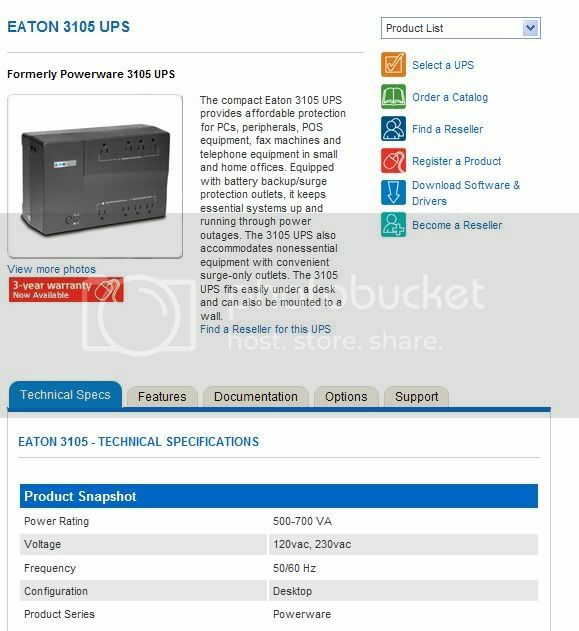 (Screen shot below) The devise is a power box come surge protector. I could take a picture if necessary. I have a disc but the drivers wont load into Windows 7. Motherboard Gigabyte Technology Co., Ltd.
Have you tried downloading drivers from the manufactures sites? Awesome, you have managed to put me in the right direction for my UPS drivers. I have d'loaded them and all is good. Thank you. This screen shot is the one I have. Glad to hear it, about the other ones, have you tried right clicking on them in device manager then update driver? Check these out and select the one for your system. Before you do that, what do you get if you rt. 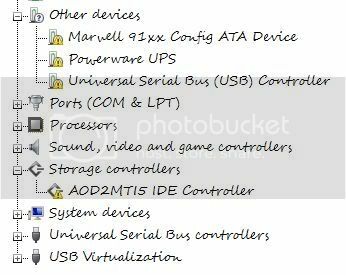 click, update driver in device manager? If that does not find it, I would go with the one you have listed. Yes I have and message said windows cannot find driver. That was for all of them too. I've been trying to work out which hardware these things are, except for the Powerware UPS. I'm a beginner with computers. BIOS, if you don't have any problems then you may want to let it be for now. The marvell driver is a RAID driver, do you have a RAID setup with your hard drives? sure there is a problem before going any further.